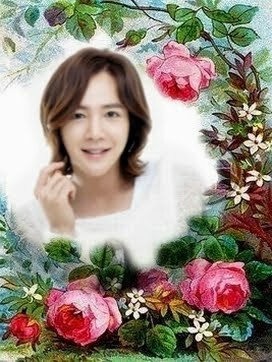 BYJ, JKS, LMH & Hallyu Star (Asian Drama - Movie) : Thailand Site...: [News] Kim Tae Hee VS Kim Hye Soo VS miss A′s Suzy: The Upcoming Mon-Tue Actress War. 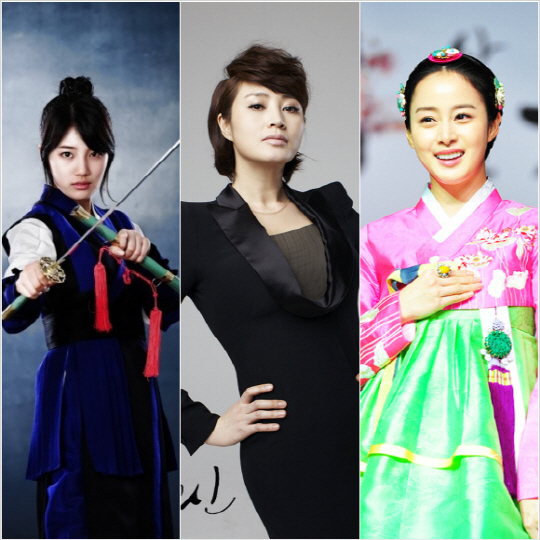 [News] Kim Tae Hee VS Kim Hye Soo VS miss A′s Suzy: The Upcoming Mon-Tue Actress War. Kim Hye Soo′s KBS2 God of the Workplace has cut the tape on the upcoming three-sided actress big bang to take over the main channels′ Monday and Tuesday drama time slots. MBC′s Gu Family Book and SBS′ Jang Ok Jung will be coming up in a week, pitching miss A′s Suzy and Kim Tae Hee against each other and Kim Hye Soo for the top actress spot of Monday and Tuesday. God of the Workplace aired its first episode on April 1, with Kim Hye Soo managing to garner praise for her mix of serious expressions, unique tone of voice and her own brand of charisma to perfect her character. She definitely proved she hadn′t been in the acting scene for 27 years for nothing, as she showed there was more to her than her looks. An official from God of the Workplace commented, "Some say we′re at a disadvantage, but Kim Hye Soo′s seasoned acting skills definitely surpass the others. We′re sure of that." The drama managed to draw fairly good ratings against the last few episodes of SBS′ Yawang, getting around eight percent in viewership ratings according to AGB Nielsen Media Research. It is being seen as a fairly good start, as producers have frequently said the first two episodes prove the biggest test as they need to succeed in establishing the drama′s characters. Gu Family Book and Jang Ok Jung, however, will prove to be giant contenders. 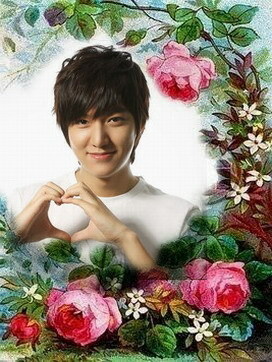 Suzy of Gu Family Book was the one that caused a giant ′first love′ syndrome last year, and is supported by a fanbase full of passionate fans in their teens and 20s. Her drama will also be helped along by the appearance of her ever-popular co-star Lee Seung Gi. Kim Tae Hee, in the other corner, is one of those actresses who has survived long in the business with a core fanbase, drawn to her timeless looks. The familiar name of Jang Hee Bin and the drama′s genre are expected to put Jang Ok Jung at the top with the biggest advantage. Suzy and Kim Tae Hee, however, have often been riddled with controversies about their acting skills, which are this time more causes for concern as they will be acting in period pieces. One official said, "It seems Kim Hye Soo′s seasoned acting, Kim Tae Hee′s looks and Suzy′s fresh image will clash. Gu Family Book and Jang Ok Jung are at an advantage because they′re period pieces, but the actresses of the two dramas will have to pass a bigger test with higher expectations on their acting."